A heavy-loaded, expendable SpaceX Falcon 9 rocket thundered off from Florida’s Space Coast Wednesday evening with the Intelsat 35e satellite that now ranks as the heaviest Geotransfer mission in Falcon 9’s 38-flight history. Using every drop of fuel to send the 6.76-metric ton satellite on its way, Falcon 9 managed to check off another successful orbital delivery – its third in a span of just two weeks, setting another company record for the California-based launch services provider. Falcon 9, flying its 18th mission in the Full Thrust Configuration, blasted off from Kennedy Space Center’s Launch Complex 39A at 23:38 UTC, 7:38 p.m. local time, rising from the former Saturn V and Space Shuttle launch site after a record turnaround of the historic launch pad. The 70-meter tall Falcon 9 fired its nine Merlin 1D engines for 163 seconds before the second stage’s MVac engine took over, first for a five-and-a-half minute burn to put the stack into orbit and again for a burn-to-depletion after crossing the Atlantic – firing the engine until exhausting the second stage’s propellant supply to deliver the maximum energy to the Intelsat 35e satellite. 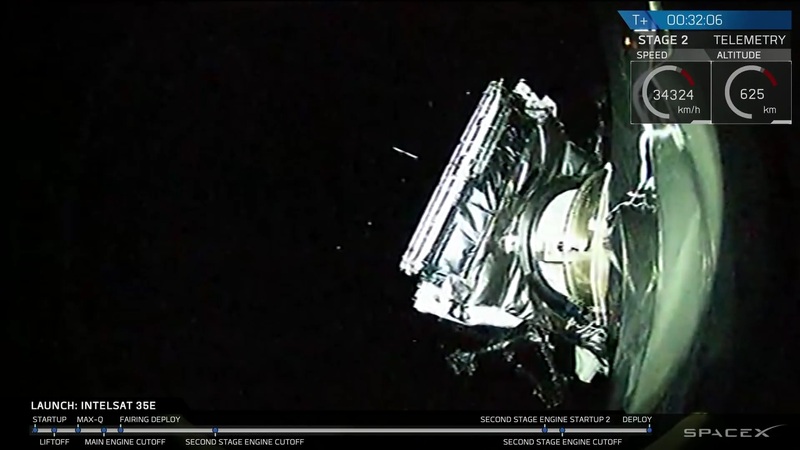 Intelsat 35e set sail 32 minutes after liftoff with a spring-loaded separation from the Falcon 9 second stage, allowing SpaceX to put the check mark behind the company’s tenth successful orbital launch of the year, the fifth to Geostationary Transfer Orbit. 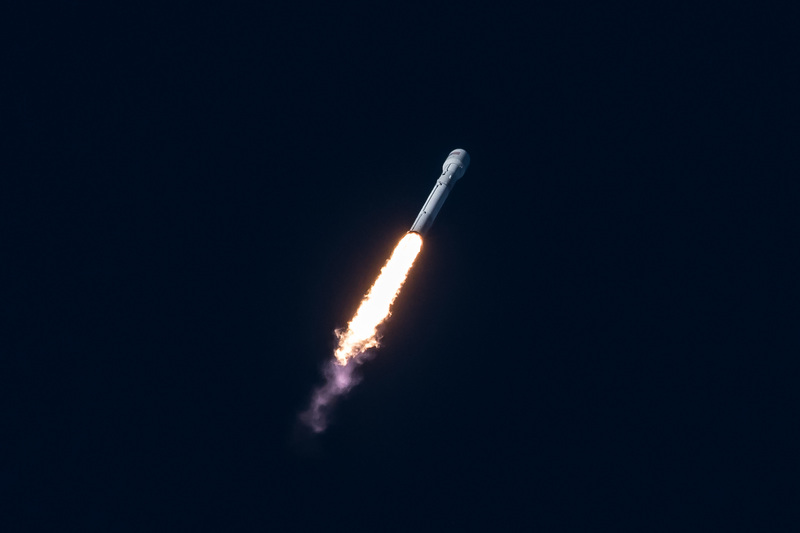 Although Wednesday’s launch could not brag with another first stage recovery as Falcon 9 flew fully expendable, but it showcased SpaceX’s capability to deliver satellites on the heavy end of what is currently common on the commercial market. SpaceX’s competition like Ariane 5 and Atlas V regularly deliver satellites in the 6.6-metric ton range into GTO; SpaceX stated it had that capability as well but so far had only flown satellites up to 6,086kg into GTO and until Wednesday did not have the chance to showcase the full potential of the current Falcon 9. 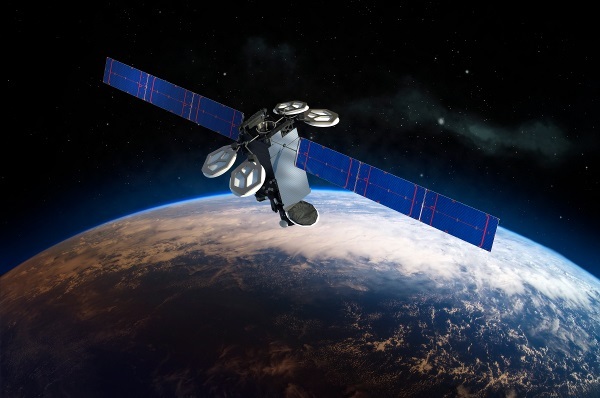 Intelsat 35e, built by Boeing and operated by Luxembourg-based Intelsat, is the fourth ‘Epic’ satellite joining Intelsat’s fleet – carrying an advanced digital payload capable of frequency re-use to deliver flexible communications services. Outfitted with a C- and Ku-Band package, Intelsat 35e will enter its orbital parking slot over the Atlantic Ocean to be able to deliver TV and mobility services to Europe, Africa, the Caribbean and South America. Weighing in at 6,761 Kilograms, the craft employs a combination of wide and spotbeams in C-Band and large Ku coverage areas to deliver high-performance services with spot beams enabling data-intensive services like wireless backhaul, enterprise and mobility services in areas where weather patterns necessitate the use of the more robust C-Band spectrum. The Ku-Band payload delivers a customized high-power wide beam for Direct-to-Home Television distribution in the Caribbean, and services for mobility and government applications in Europe, the Caribbean, and Africa. All in all, Intelsat 35e hosts 124 C-Band transponders (36MHz equivalent) and 39 (36MHz equivalent) Ku-Band transponders with frequency re-use only in C-Band. The craft’s capacity will replace and expand coverage currently provided by the Intelsat 903 satellite that launched atop a Proton rocket in 2002. 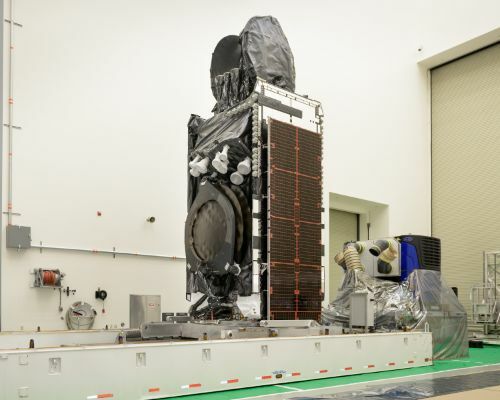 Initial Epic customers have already been starting to receive services through the 903 satellite and will be seamlessly transferred to Intelsat 35e after it starts operation at 34.5 degrees West for its 15-year service life. 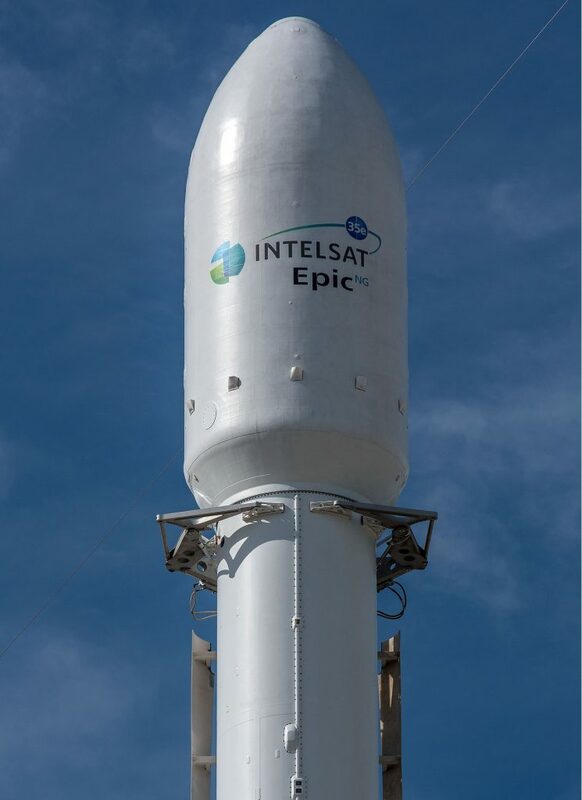 Intelsat 35e was ordered as the sixth Epic spacecraft, all based on the Boeing 702MP platform, and is the fourth Epic to reach orbit with Intelsat 37e expected to join the Epic fleet in August, launching on an Ariane 5. 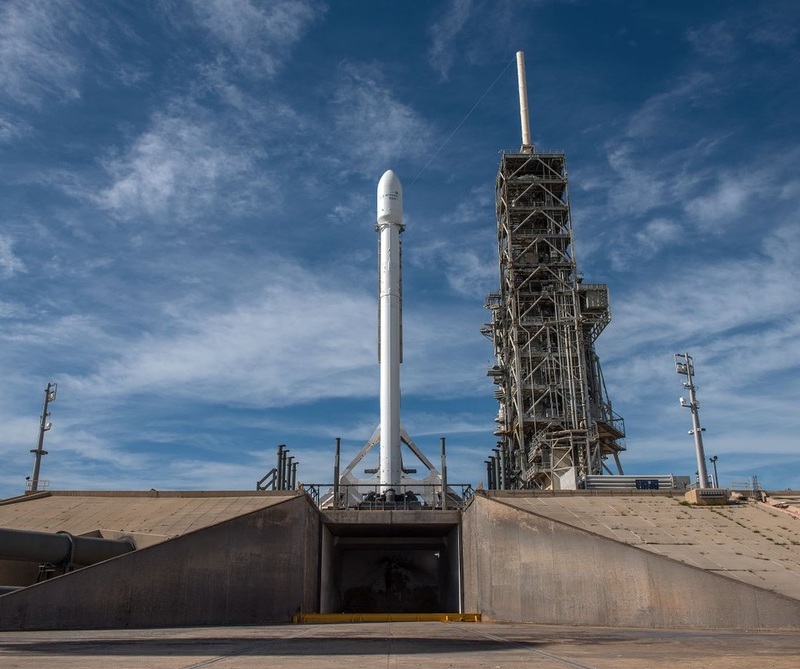 Wednesday’s launch capped an extremely busy period for SpaceX coming right on the heels of the successful launches of BulgariaSat-1 out of Florida on June 23 and the second batch of Iridium-NEXT satellites on June 25 from California. On Monday, the Dragon SpX-11 made a pre-sunrise landing in the Pacific, coming back from a month-long cargo mission to the International Space Station – also marking the first Dragon re-use mission. The launch vehicle for the Intelsat 35e flight was spotted on the road to the McGregor test site in late May and was already at the Cape Canaveral launch site when Bulgaria’s first telecommunications satellite left the pad, enabling a fast turnaround constrained by the time required to prepare the pad for another go. LC-39A supported a six-day turnaround for the Intelsat 35e Static Fire that occurred at dusk on Thursday and Falcon 9 was back on the pad Sunday for a launch attempt. 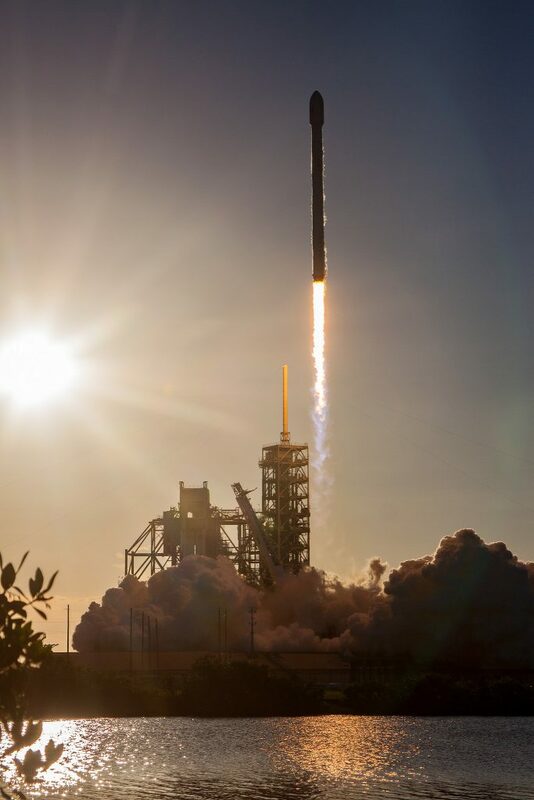 Sunday’s attempt had to be abandoned after a last-second countdown abort by Falcon 9’s onboard computers due to a red line violation of a Guidance, Navigation and Control System parameter. A similar abort occurred in Monday’s countdown and SpaceX engineering teams took the day on Tuesday to complete detailed reviews that zeroed in on a disagreement between avionics parameters on the vehicle and the expected value in the ground-computer database. No changes were required on the Falcon 9 and teams updated the ground database to avoid another auto-triggered abort. Heading back into countdown ops on Wednesday, all checks and re-checks of the vehicle went well and Falcon 9 was provided a clear bill of health. With a clean rocket and satellite as well as a very favorable weather outlook thanks to the Florida Sea Breeze, all Launch Controllers voiced a GO for propellant loading. Sporting a Block 3 first stage and Block 4 second stage, Falcon 9 employed the faster tanking sequence as the second stage is no longer prone to buckling issues of its Helium pressure vessels, allowing Liquid Oxygen and Helium to be loaded at the same time without creating conditions that were found at the root of the September 1st Falcon 9 explosion. As the automated countdown sequencer kicked in, Falcon 9 began receiving a total of 155 metric tons of Rocket Propellant 1, chilled to -7°C to increase its density. Sub-cooled Liquid Oxygen at -207°C began flowing at T-35 minutes in a carefully throttled sequence to load around 360 metric tons of oxidizer. Propellant loading on the Falcon 9 FT is designed to close out just before launch as every degree of warming of the propellants causes a decrease in density and with that propellant mass on board the vehicle. Getting Falcon 9 to its target fight mass is especially important for missions that come close to exhausting the rocket’s performance, like Wednesday’s launch that maxed out performance on both stages. Propellant loading went by the book, allowing Falcon 9 to proceed into its busy final countdown sequence at the T-7-minute mark when chilldown picked up on the nine Merlin 1D engines to condition their turbomachinery for ignition. Falcon 9 switched to battery power and the Strongback retracted by 1.5 degrees and was readied for rapid kickback at T-0. A final exercise of all engine trim valves and thrust vector control actuators occurred before the rocket was configured for launch by switching to battery power and arming the Autonomous Flight Termination System. Propellant loading closed out at the T-2 minute mark and the Eastern Range & Launch Director voiced their final clearances before Falcon 9 proceeded into pressurization of its tanks, controlled by its triple-redundant computers. The third Falcon 9 in twelve days came alive three seconds prior to launch when the nine Merlin engines soared to a collective liftoff thrust of nearly 700 metric ton-force. 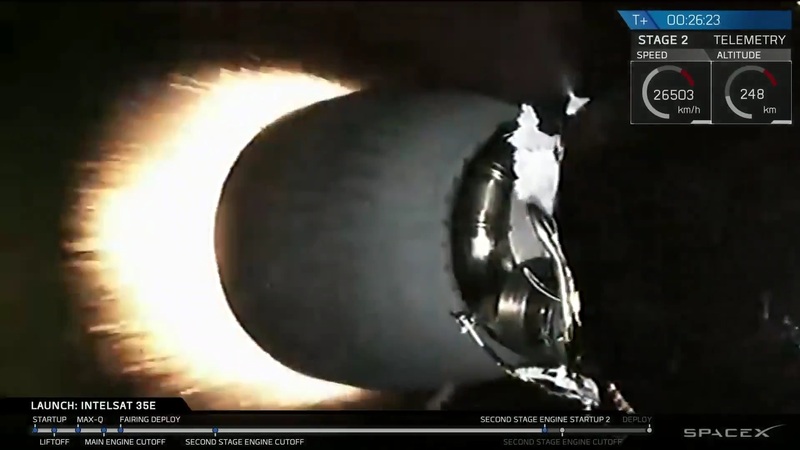 Falcon 9 blasted off at precisely 23:38:00 UTC, balancing in a vertical posture for the first 15 seconds of flight before pitching over to head east-south-east on the standard route toward Geostationary Transfer Orbit. Active propellant utilization kicked in half a minute into the flight to optimize the mixture of fuel and oxidizer consumed by the engines, guzzling down 2,450 Kilograms of propellant per second. 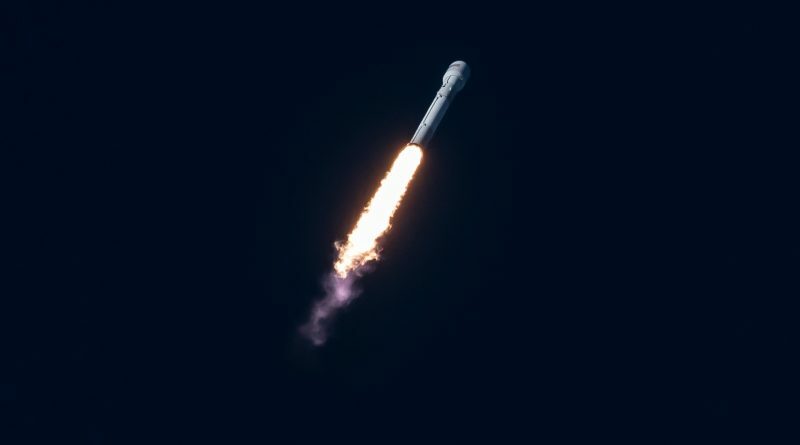 Thundering toward the night side of the planet, Falcon 9 broke the sound barrier just over a minute into the mission and encountered Maximum Dynamic Pressure at T+78 seconds with the engines throttling back for a moment to limit stress on the ascending rocket. Having throttled back up, the first stage continued firing on all cylinders while the second stage began chilling down its main engine to be ready for start-up. The first stage shut down two minutes and 43 seconds after liftoff, having accelerated the stack to 2.63 Kilometers per second and devoted its entire performance to the primary mission. Three seconds after staging, four pneumatic pushers separated the stages and sent the first stage clear of the MVac engine’s vacuum-optimized nozzle. Stage separation marked the end of active duty for Booster #1037, clocking out early as the third expendable booster of 2017 without any landing legs or grid fins. Having dispatched the second stage, the booster was headed to destructive re-entry some seven minutes after launch en-route to finding a watery grave in the Atlantic. Assuming powered flight duties, the second stage fired up its 95,000-Kilogram-force MVac engine on a planned five minute and 44-second burn to lift the heavy-loaded stack into a Low Earth Parking Orbit. Crossing 113 Kilometers in altitude three minutes and 40 seconds after launch, Falcon 9 split open and separated its two fairing halves, shedding no longer needed weight to optimize performance to orbit. Stage 2 shut down eight and a half minutes after launch and transitioned into coast mode for just over 17 minutes, crossing the Atlantic Ocean to fire up again near the equator so that the high-point of the Geostationary Transfer Orbit would be placed above the equator on the opposite side of the planet. Stage 2 soared to life again 26 minutes and 22 seconds after liftoff, increasing the vehicle’s velocity by 2.49 Kilometers per second to achieve the GTO injection. The burn, planned to be at least 52 seconds in duration, was programmed to run to depletion, that is until all but a minimum of propellant on the second stage was expended – allowing the stage to operate longer than for a guided shutdown and so deliver some additional delta-v to put the satellite into a higher orbit and thus reduce its fuel expenditure toward GEO. Intelsat 35e had a minimum target orbit of 250 by 31,230 Kilometers, inclined 26° – a slightly sub-GTO type orbit but still sufficient to meet the satellite’s 15-year service life. With the minimum residuals shutdown on the second stage, Intelsat hoped to get as far as a slightly Supersynchronous Transfer Orbit with an apogee above the Geostationary Belt to gain fuel margin beyond the 15-year life – explaining why there was much desire to have Falcon 9 at a maximum possible propellant mass at liftoff given both stages were running until exhausting their propellants. 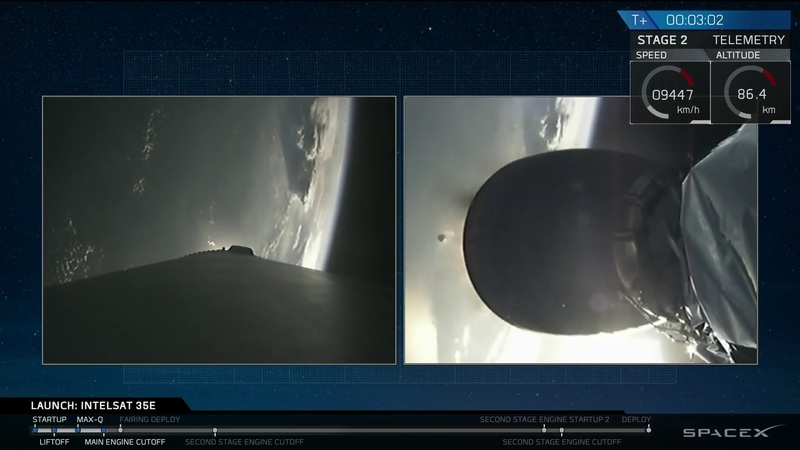 The burn ended up running for ~58 seconds and SpaceX Launch Controllers noted a good orbit was achieved by the second stage that then went into maneuvers for spacecraft separation. 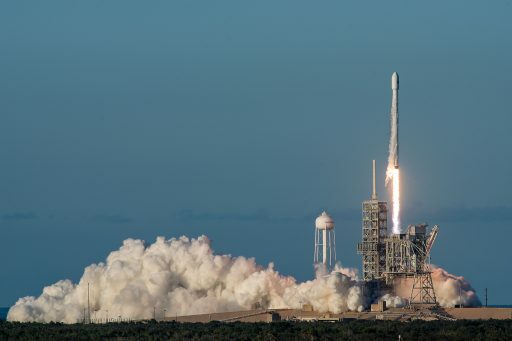 SpaceX Chief Elon Musk reported the achieved orbit reached an apogee of 43,000 Kilometers, giving the satellite several years of additional stationkeeping propellant. Intelsat 35e was sent on its way just after T+32 minutes, completing Wednesday’s mission. For Intelsat 35e, the destination is GEO – targeting a series of apogee maneuvers to circularize its orbit and reduce the inclination to zero to enter a checkout location at 33°W where the craft will complete the deployment of all appendages and enter 45 days of testing. 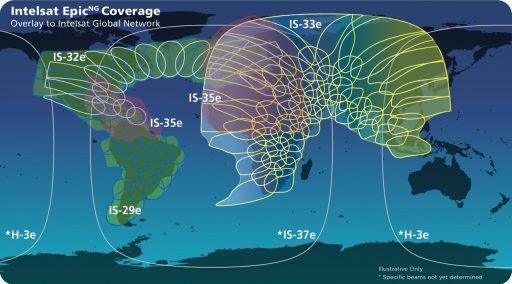 Once declared operational, Intelsat 35e will complete a five-day drift maneuver to enter the 34.5°W orbital slot where it will take over Intelsat 903 customers and provide expansion services. 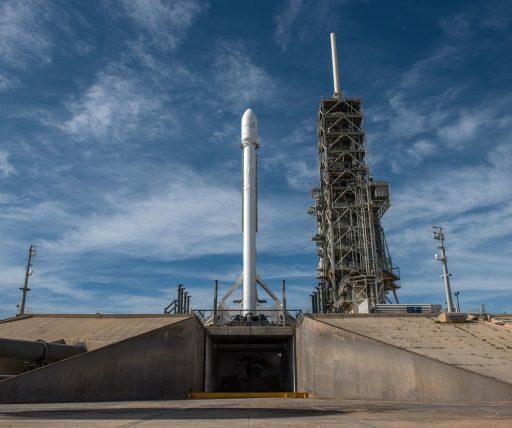 For SpaceX, a slight lull in launches is coming up as the Eastern Range enters a scheduled maintenance period and ULA is first after the outage with NASA’s TDRS-M satellite launching on an Atlas V rocket. The next Falcon 9 launch is currently targeting NET August 10 and will lift the Dragon SpX-12 spacecraft on a resupply mission to ISS.